On behalf of the families we serve, please accept our heartfelt thanks for the donation of 75 backpacks filled with age appropriate supplies. The support we receive from strong community partners like you makes a big difference in our ability to help our participants. Your caring spirit is greatly appreciated. Voices Against Violence provides life-saving services to victims of sexual and domestic violence in the Metrowest area. Our services include a 24-hour hotline, counseling and support groups, confidential shelter, information and referral, and supervised visitation. Guided by a philosophy of empowerment, we offer safety, security, and support so that survivors can make informed decisions about their lives and the lives of their children. ll of our services are free and confidential and available in English, Spanish, and Portuguese. Your gift enables us to better serve individuals and families who have been affected by violence. Your support sends a powerful message to survivors that they are not alone and that they have friends they've never met to assist them on their journey to safety and independence. These bags have given confidence to countless kids that we serve each and every day. I remember as a kid always feeling proud and confident when I was fortunate enough to have the “right” gear as to not stand out. The reality is, it DOES make a difference. The fear of being teased etc. dramatically decreases when you are comfortable walking through the doors of school. THANK YOU, our kids stand taller because of your generosity. Once again, we are so overwhelmed by the support and generosity of the Backpacks for Kids Foundation. As the school year begins, please know your donation of 125 backpacks will positively influence the lives of 125 Boston-area homeless children. 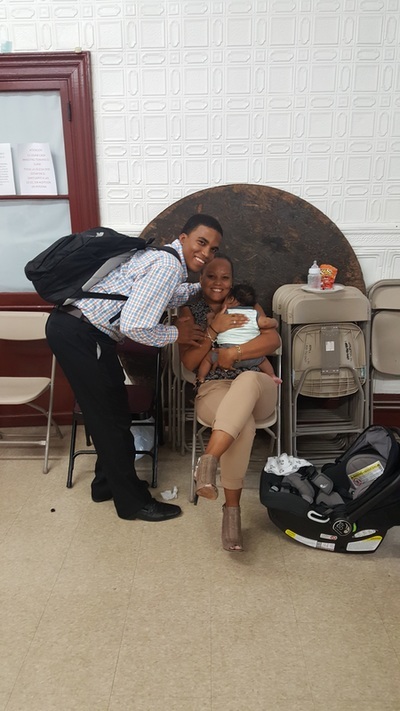 Our Family Team spends their days helping families in shelters, visiting with children who often have very few possessions of their own, and have only known a crowded motel room as home, and talking with their parents who are desperately trying to make ends meet. As the school year begins, please know that because of you, kids can be proud of their new backpack, brimming with school supplies. Regardless of where kids call home, on their first day, the quality of their backpacks and school supplies, or lack-there-of, will no longer be a barrier to their confidence and success in education. We are astounded by the investment in our community that you have shown over the years and ever grateful for the outpouring of support for BHCHP and those we serve. Our Family Team sends their heartfelt thanks along with the thanks of the families we serve, who are the true beneficiaries of your important partnership in this work. Thank you all so much for the kind and generous work you have been doing for the past several years. Please know that your efforts have made a difference and have touched so many lives. I wish you could be here to see the happy faces of the kids as well as their parents when they pick up their backpacks and supplies. Your efforts really lift a financial burden that most can't afford. You are amazing young people and I am sure that you will continue to make lives better wherever life takes you. I wish you all the best as you move on to other ventures. We, the residents of Wellesley Housing Authority, would like to thank you for your hard work and generosity in providing these backpacks and school supplies. On behalf of everyone at Natick Service Council, we would like to thank your organization for the tremendous support during our 2016 Backpack Program. 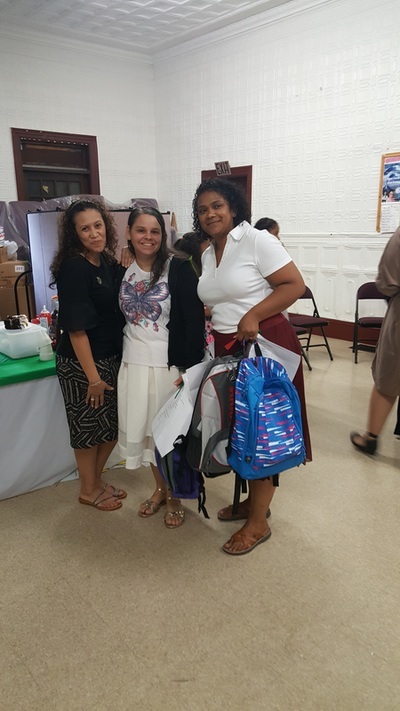 This year we received more than 200 requests for backpacks and school supplies. The generous donations we received from Backpacks for Kids Foundation made it possible to fulfill every request. The partnership we have with your amazing group is so important to our success. 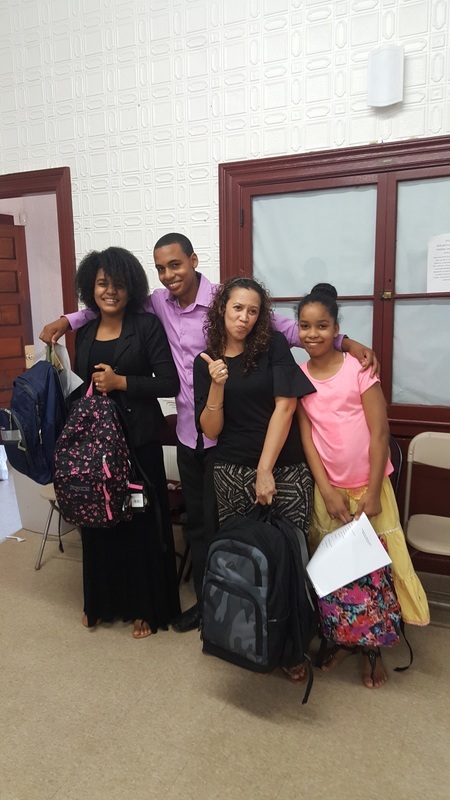 Thanks to Backpacks for Kids, we were able to provide backpacks full of supplies for our clients. It is because of your help that these children are better prepared to begin the new school year. On behalf of the YWCA Malden After-School Program, thank you to the Backpacks for Kids Foundation for the generous donation of 10 backpacks, filled with wonderful school supplies. They will be distributed to the most needy families we serve. And, I know that the kids will be elated! 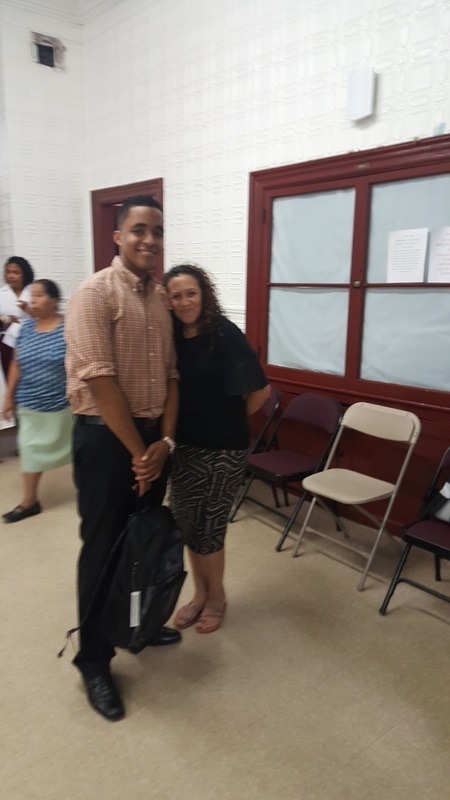 In our agency, we are all about providing the tools and resources to strengthen families as they move towards financial self-sufficiency. These are wonderful families doing the best that they can do. Your work is a nice complement to our efforts. Thank you, too, for your inspirational work, making a difference in the lives of young children. Your effort on behalf of the children in the region is heart-warming. Once again you have made the first day of school special for our children. The backpacks are beautiful, each one different from the others. I will deliver them tomorrow morning and can't wait to see the smiles on the faces. Thank you so very much for all your hard work and dedication. This tradition puts such a happy note on the end of summer and start of the new school year. Thank you for your generous in-kind donation of 45 backpacks stocked with school supplies, valued at $4500, to Wediko Children's Services. Given the current financial situation for nonprofit agencies like Wediko, every dollar we save through Gift In-Kind donations is a dollar we can put towards helping children and families. Your contribution helps Wediko continue to provide exemplary services to children, families and schools. Once again I am writing to express my thanks for the great job you all do in your efforts to aid kids less fortunate. The selfless work you do each year touches so many lives and lifts the spirits of our kids. You all continue to be a force of good in a world which seems determined to go dim. I see the impact you make on the faces and in the excited responses of children whose families struggle daily to make ends meet. Never question as to whether or not you make a difference, trust me you do. 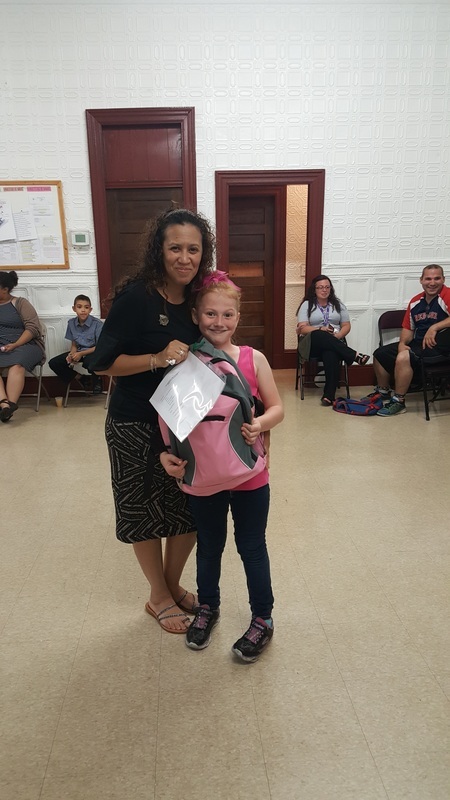 On behalf of the children at the Elizabeth Seton House, I would like to thank your organization for its generous donation of backpacks and school supplies. As you can imagine, the transition back to school can be a very difficult time for the children we serve. Being able to provide the children with new backpacks and school supplies will help ease their transition into the new school year. Thank you again for making this possible. On behalf of the clients of Voices Against Violence, we would like to thank you for participating another year in our Sponsor-A-Student Program. The support we receive from strong community partners like you make a big difference in our ability to help 65 kids from our program participants in sending their kids to school with confidence. Your caring spirit is greatly appreciated. Donations like yours enable us to better serve individuals and families who have been affected by violence. Your support sends a powerful message to survivors that they are not alone and that they have friends they've never met to assist on their journey to freedom. Your generosity will surely add to, and improve upon the quality of life for everyone in our community. On behalf of everyone at Natick Service Council, we would like to thank you for your support of our 2012 Backpack Program. This year we received more requests for backpacks and school supplies than ever before. Your generous donation and the donations of others in and around our community made it possible to fulfill every request. Thanks to you, we were able to provide backpacks full of supplies to more than 240 students in Natick. It is because of your help that these children are better prepared to begin the new school year.